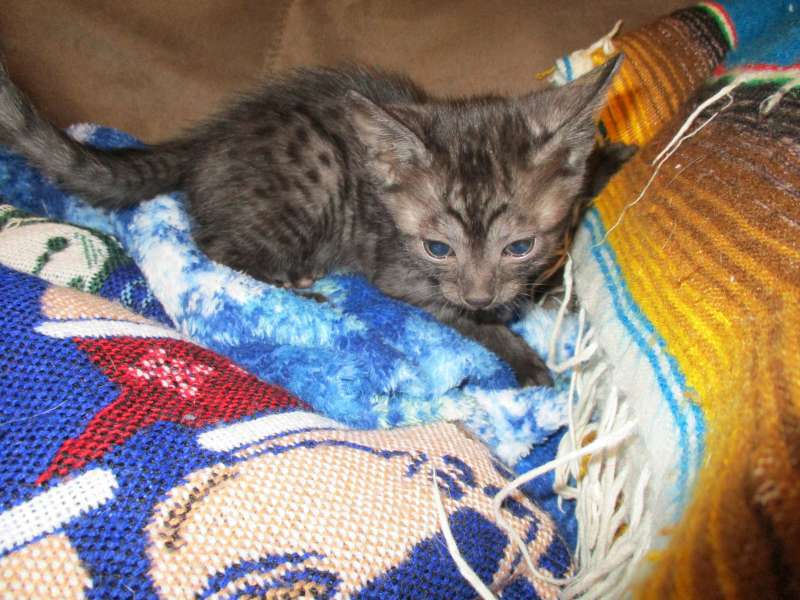 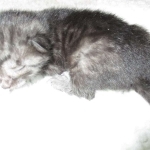 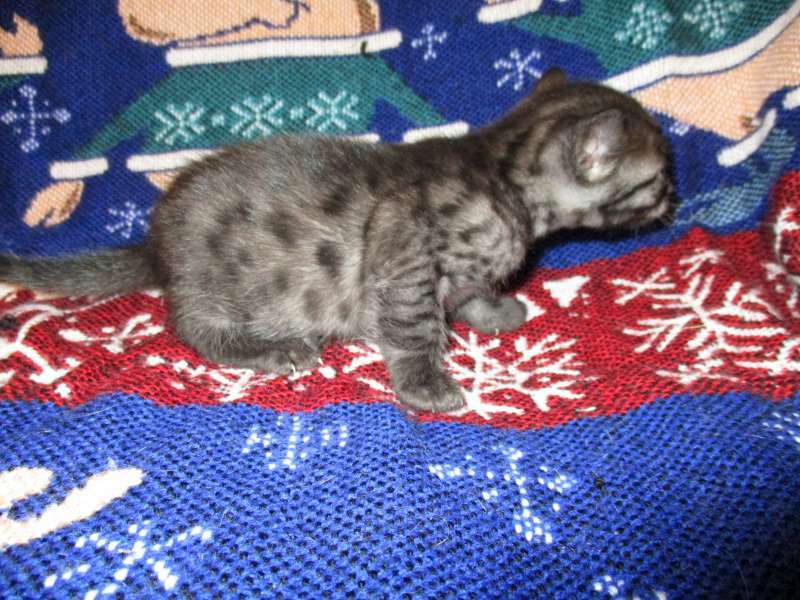 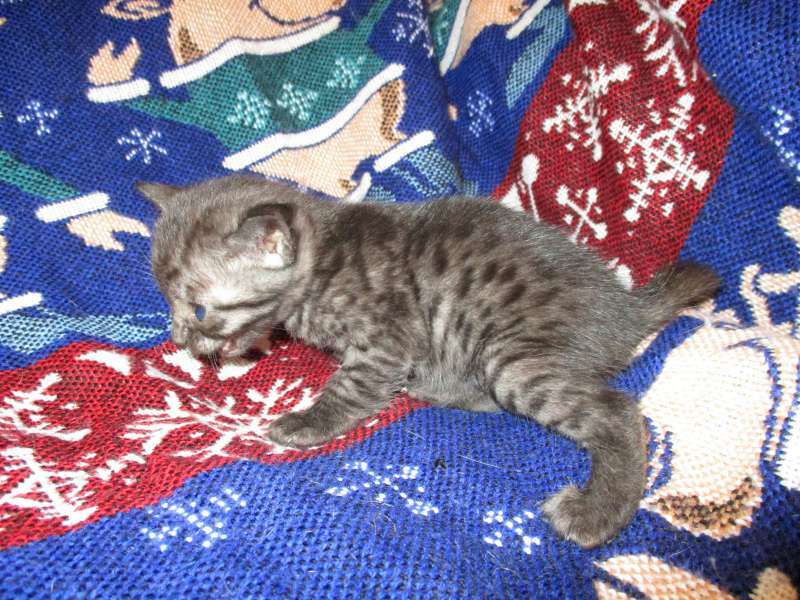 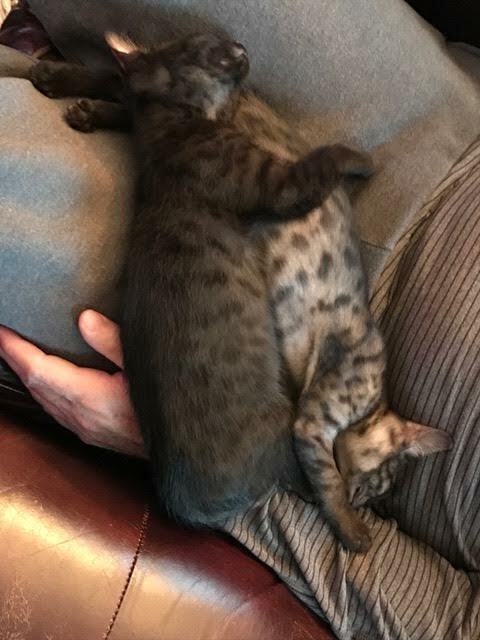 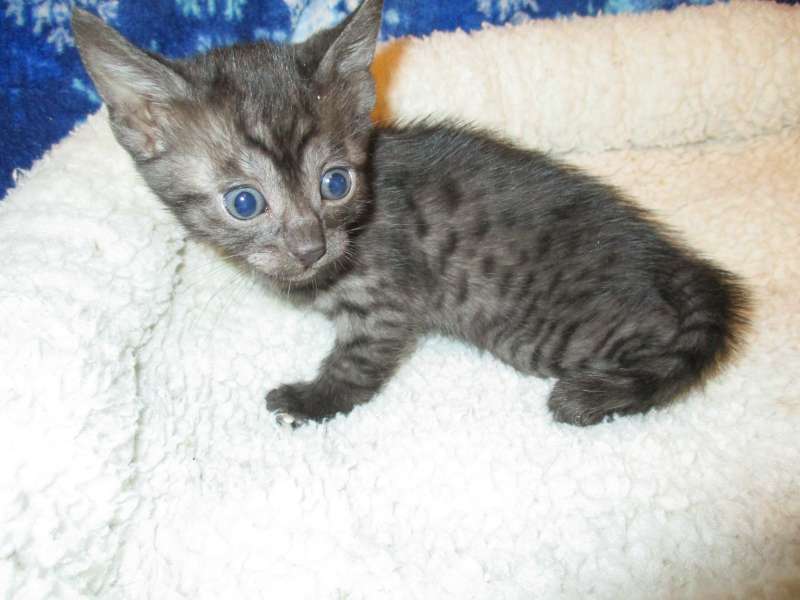 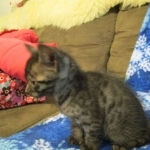 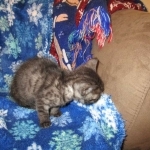 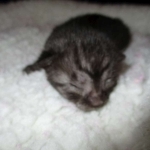 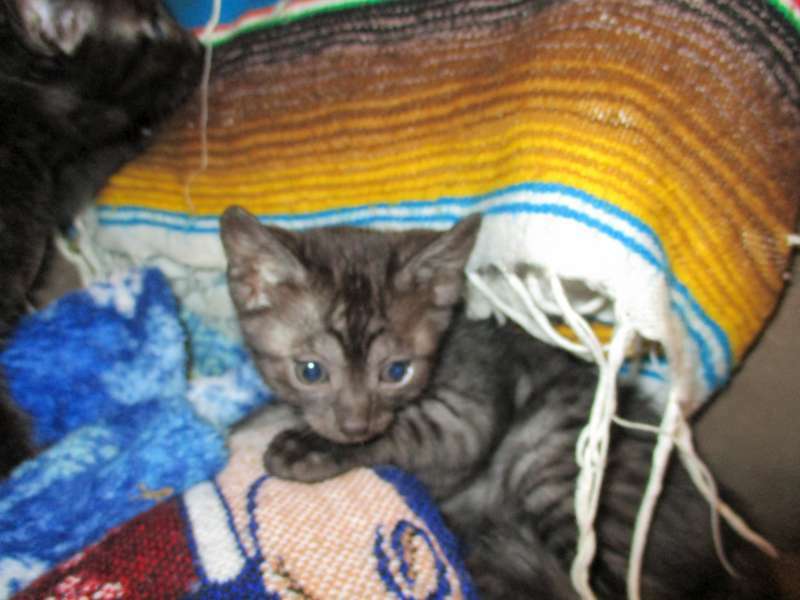 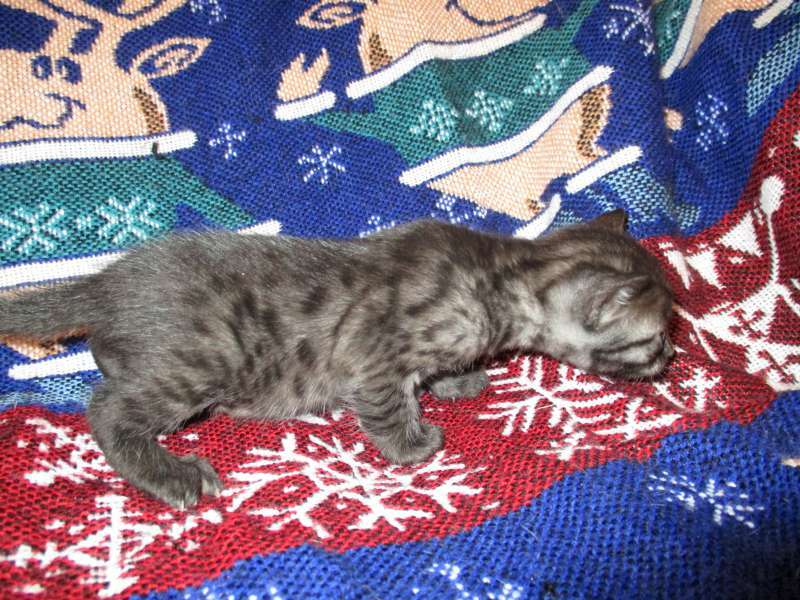 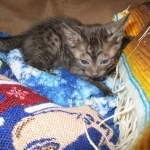 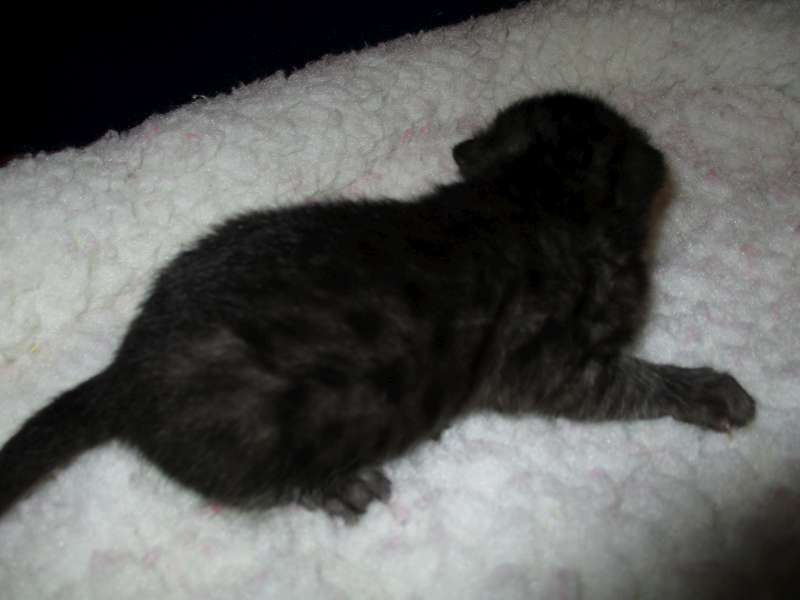 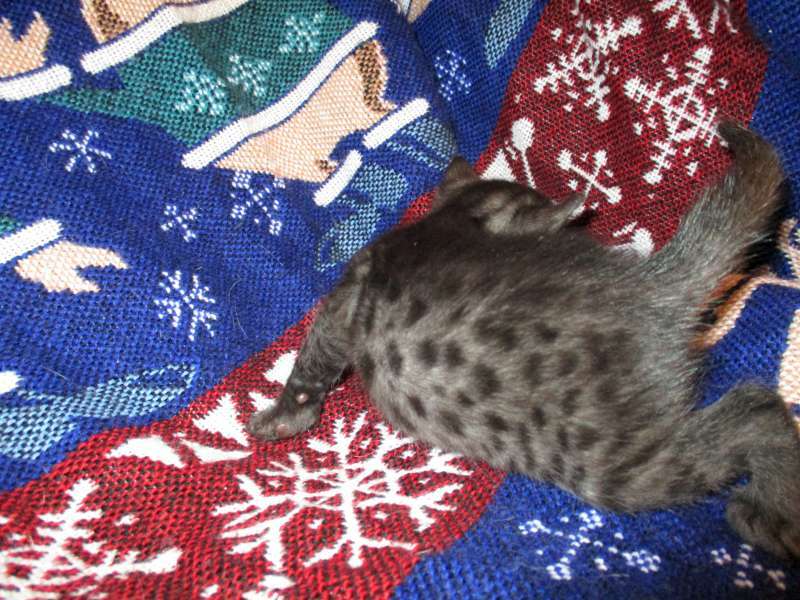 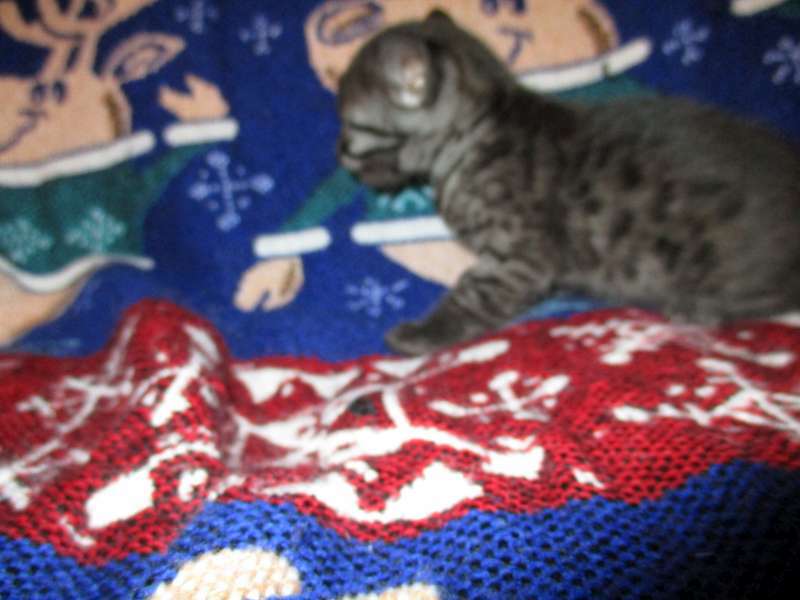 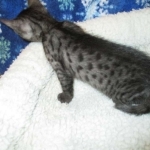 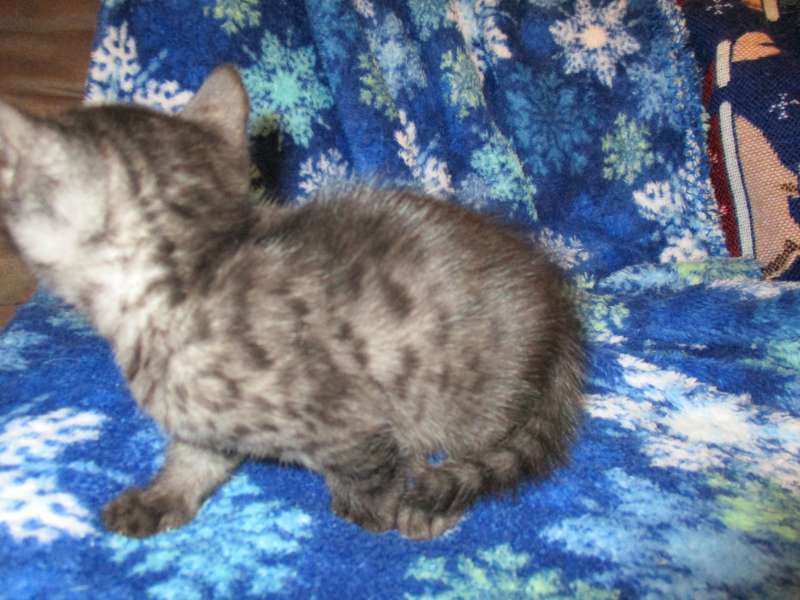 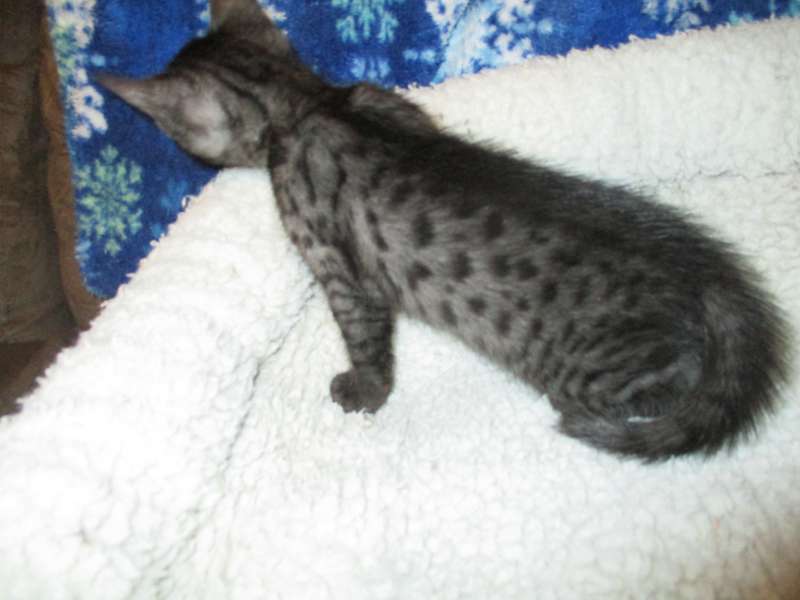 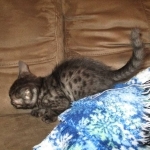 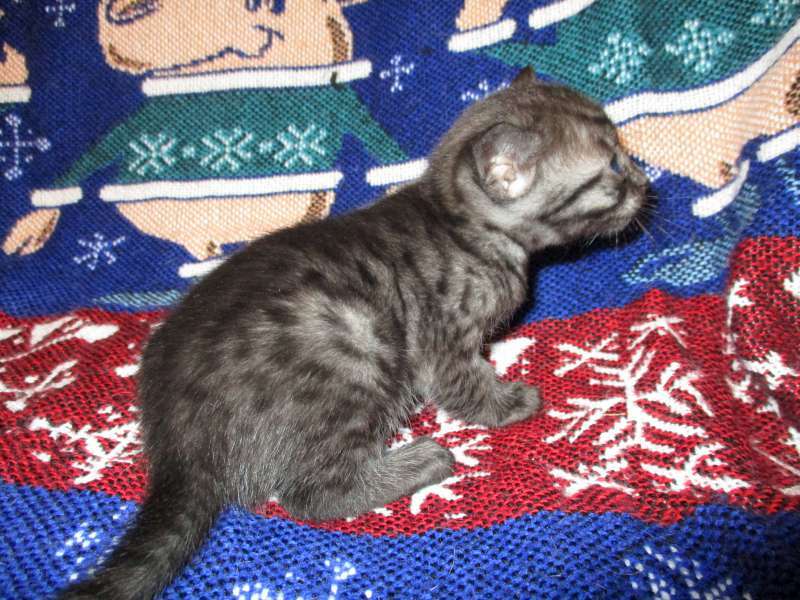 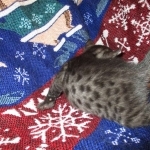 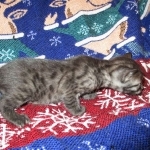 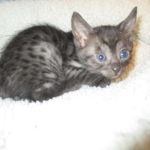 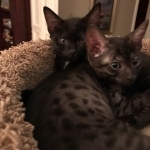 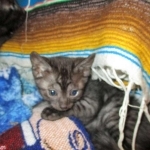 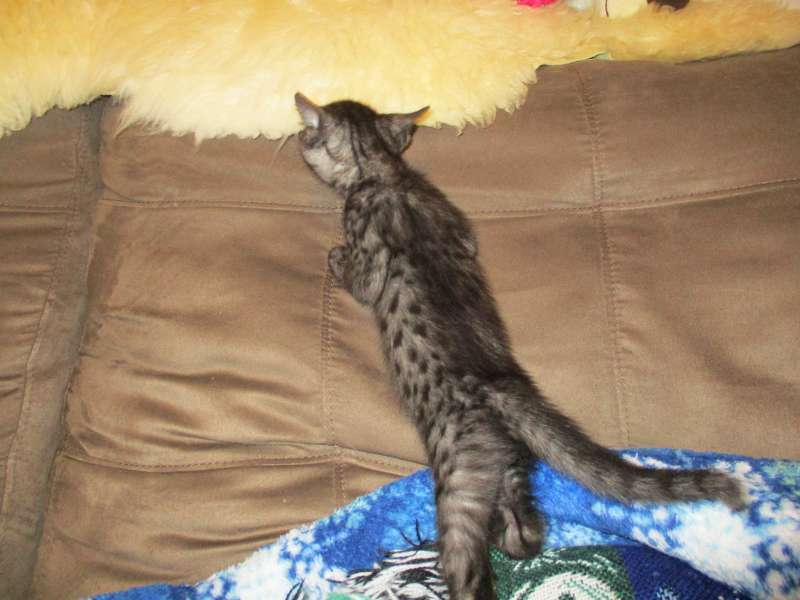 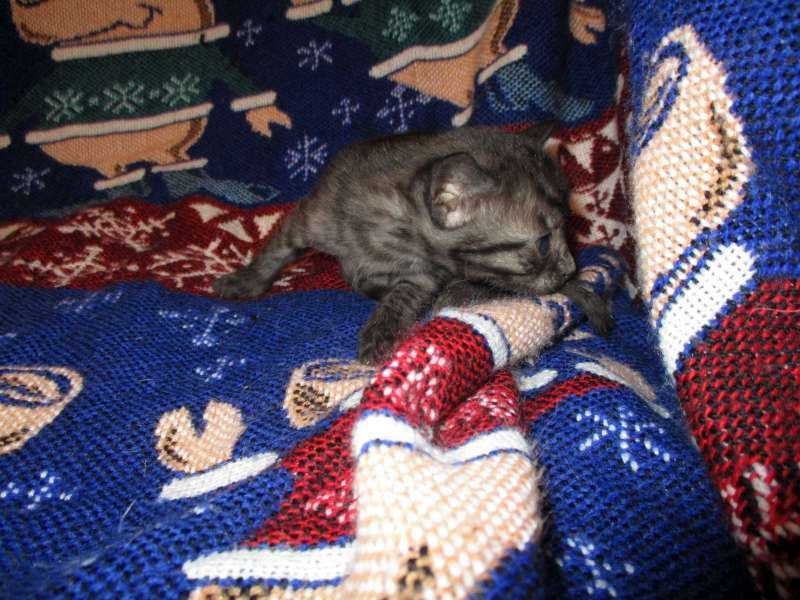 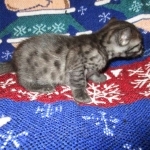 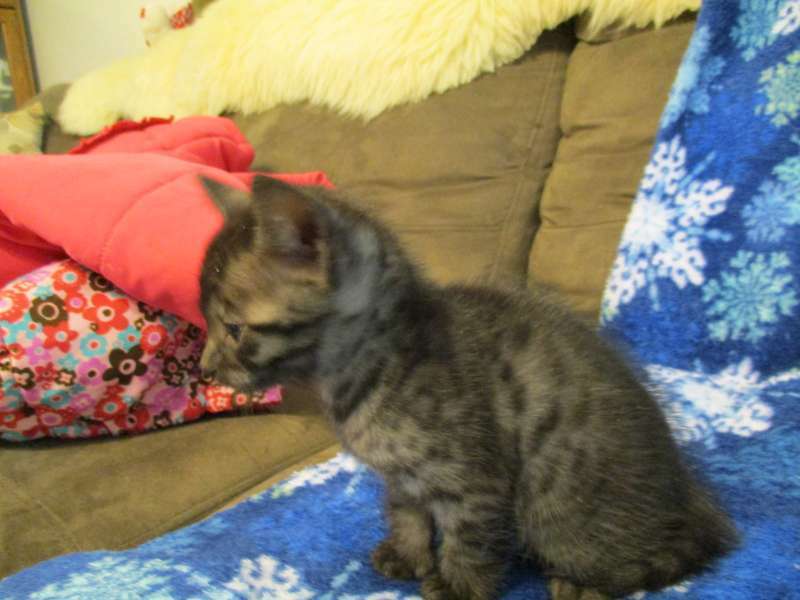 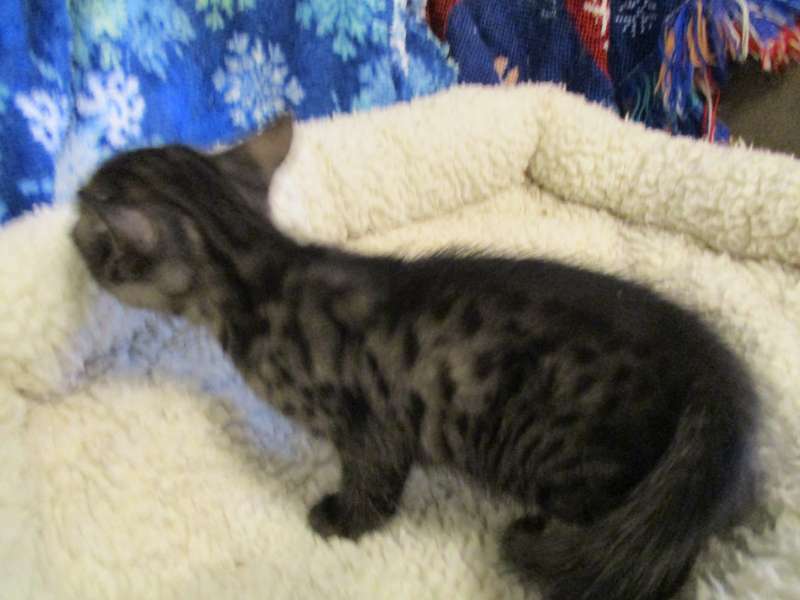 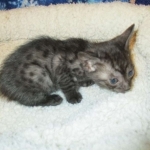 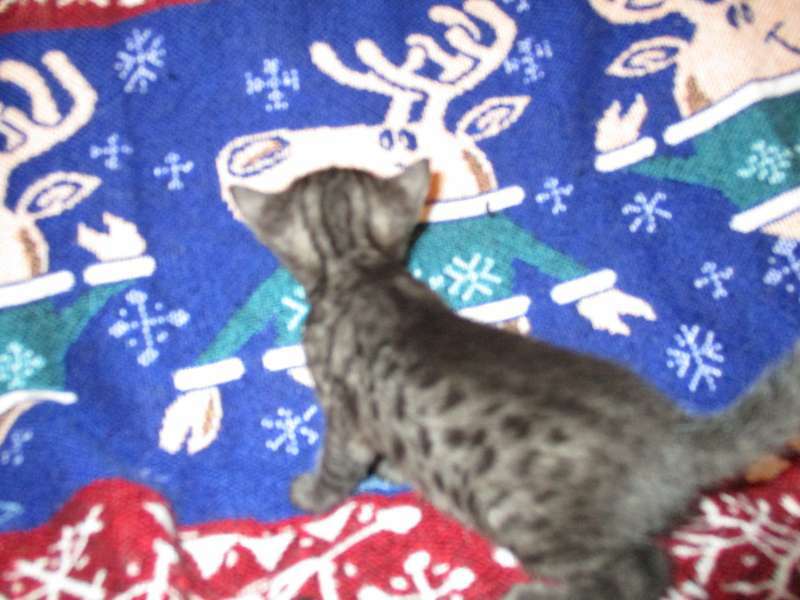 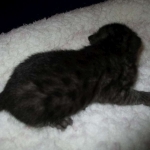 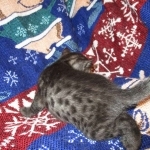 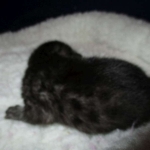 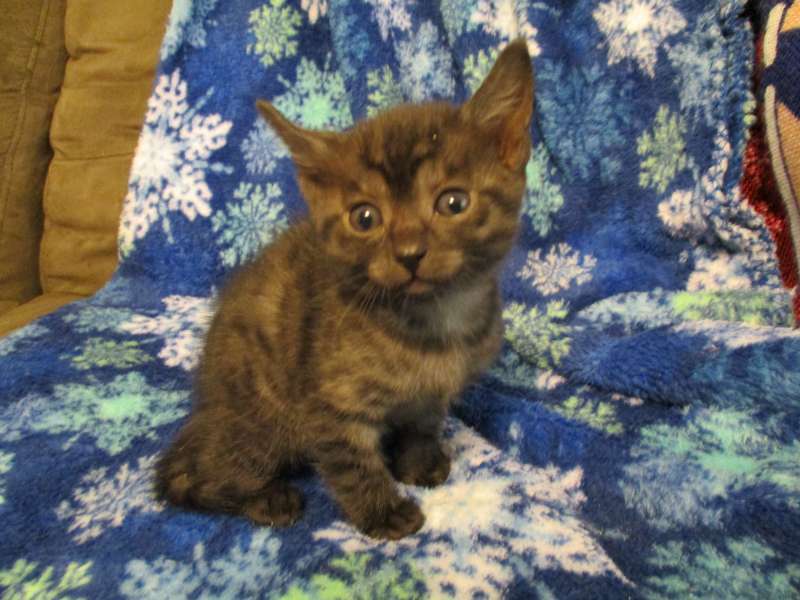 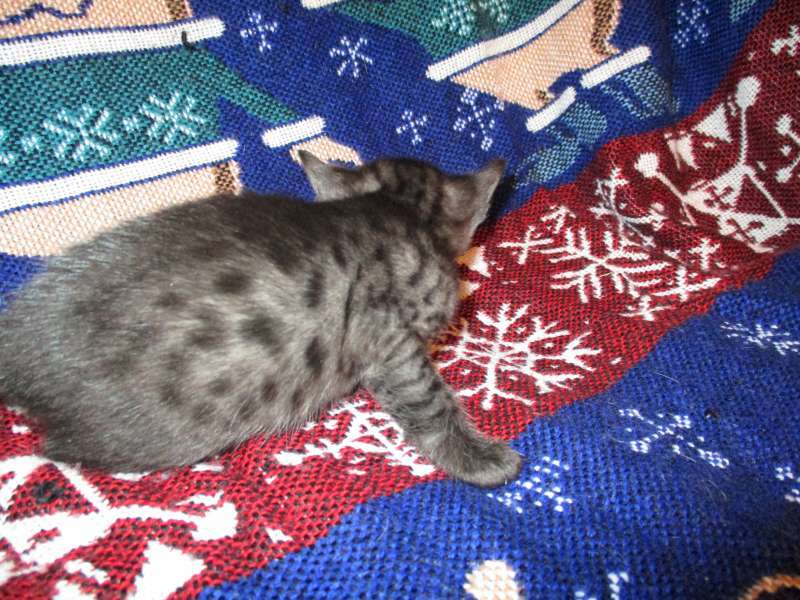 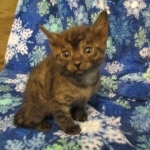 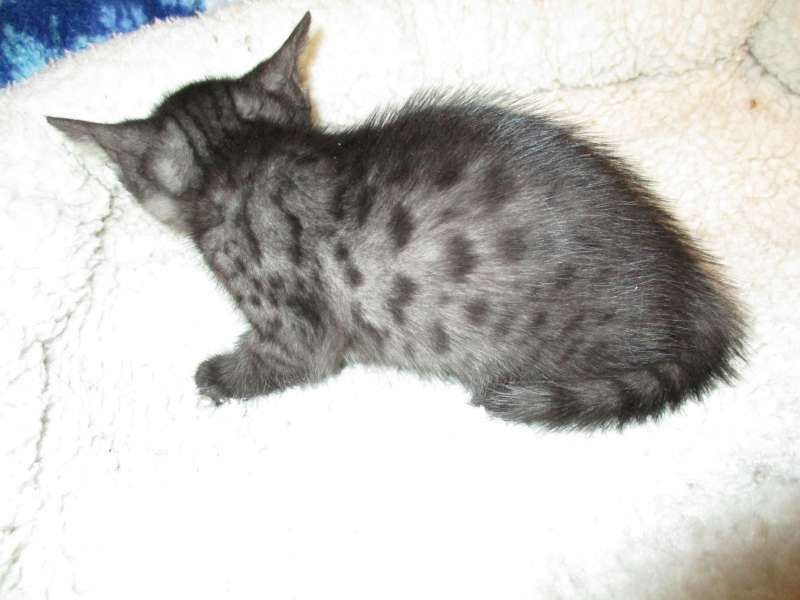 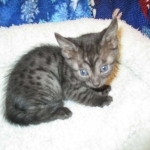 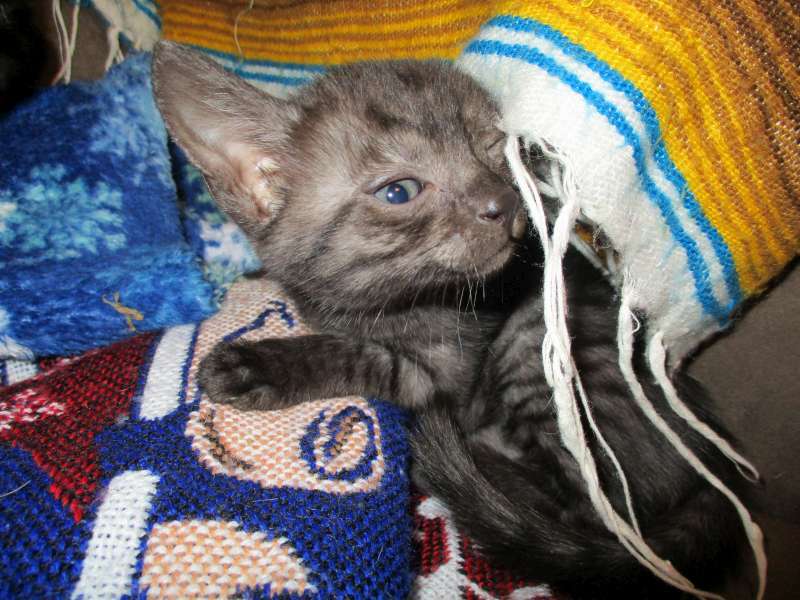 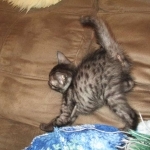 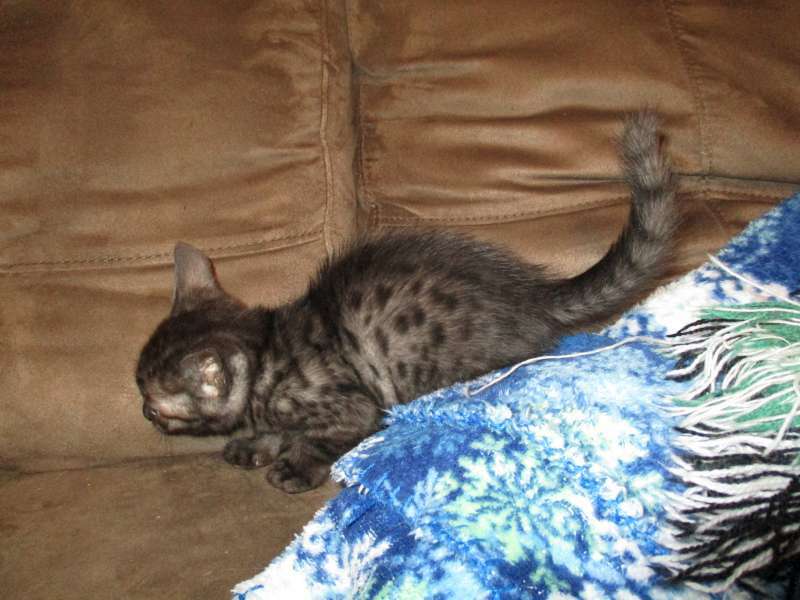 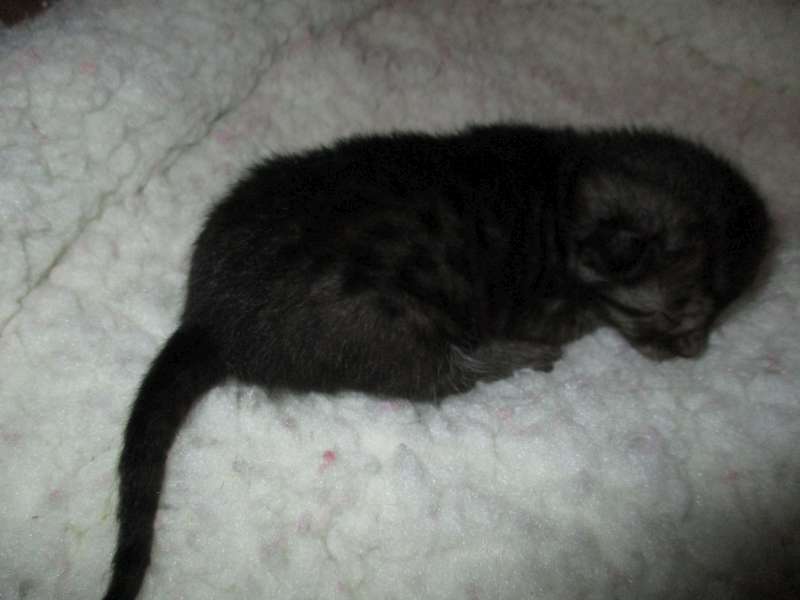 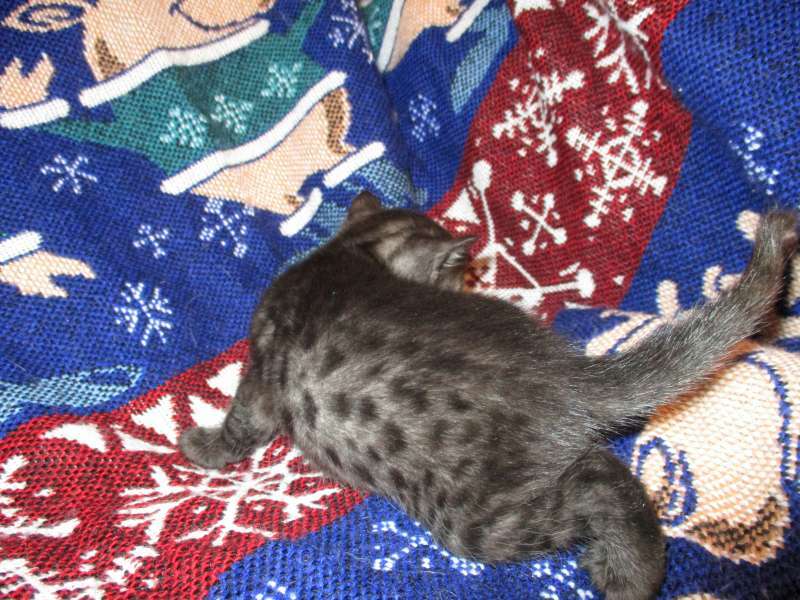 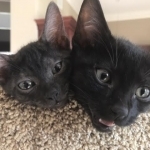 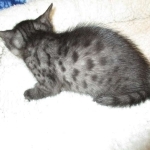 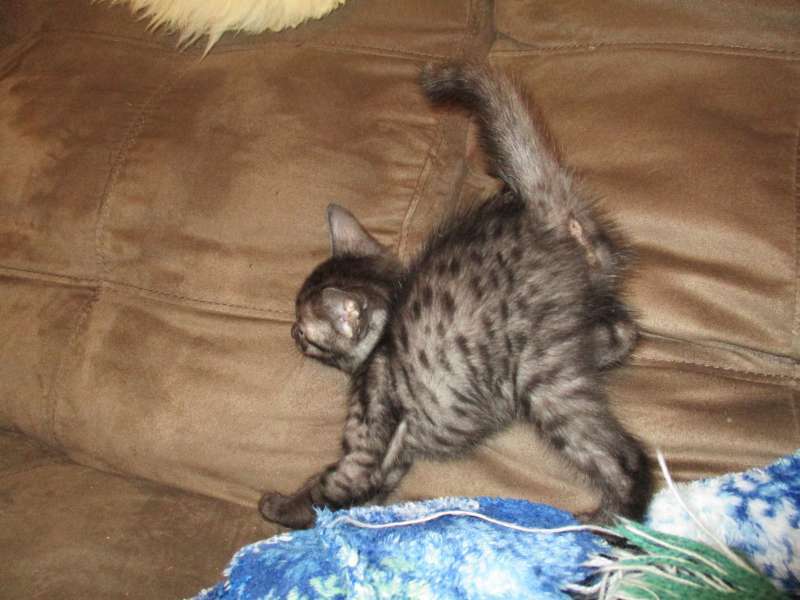 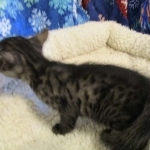 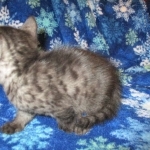 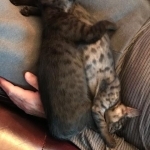 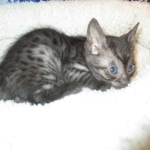 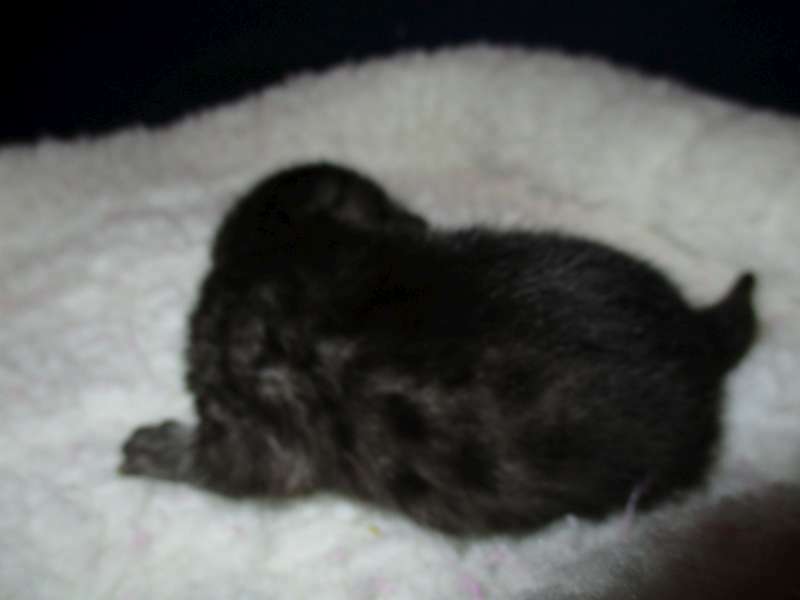 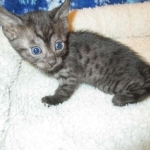 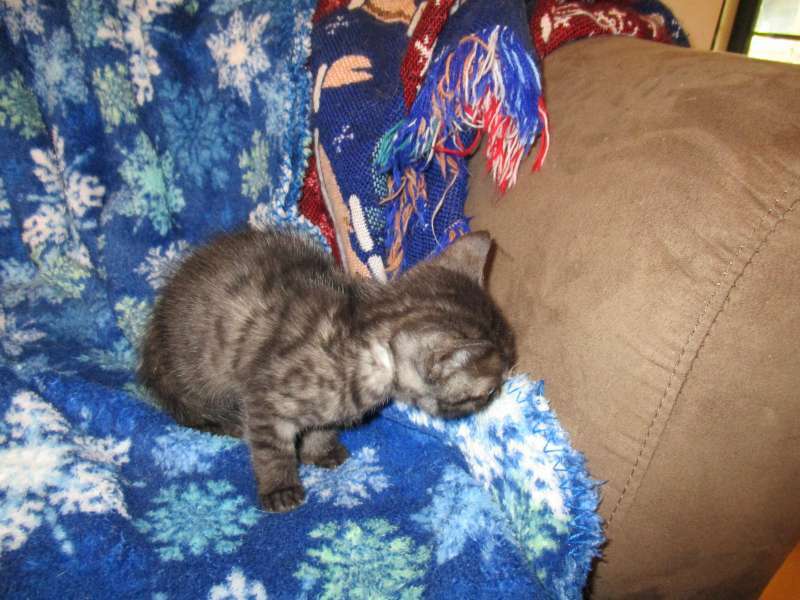 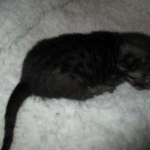 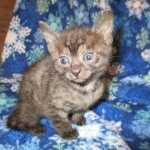 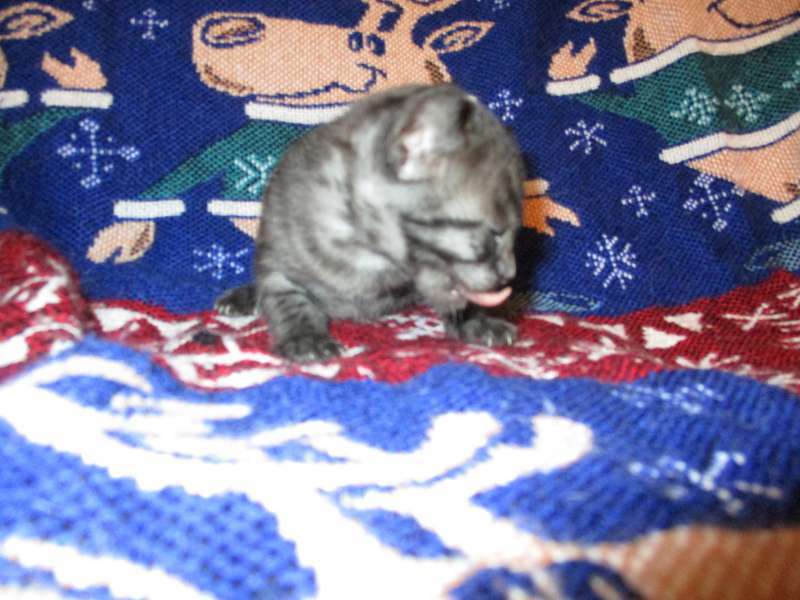 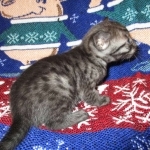 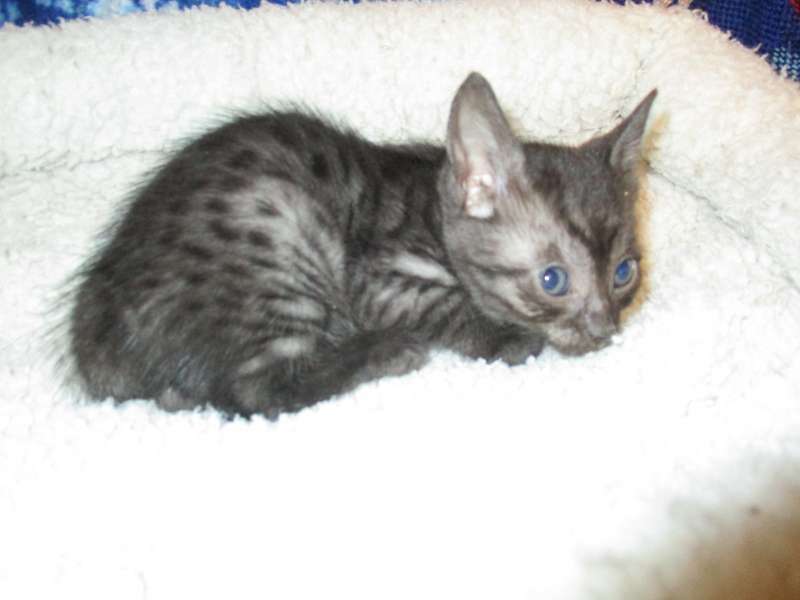 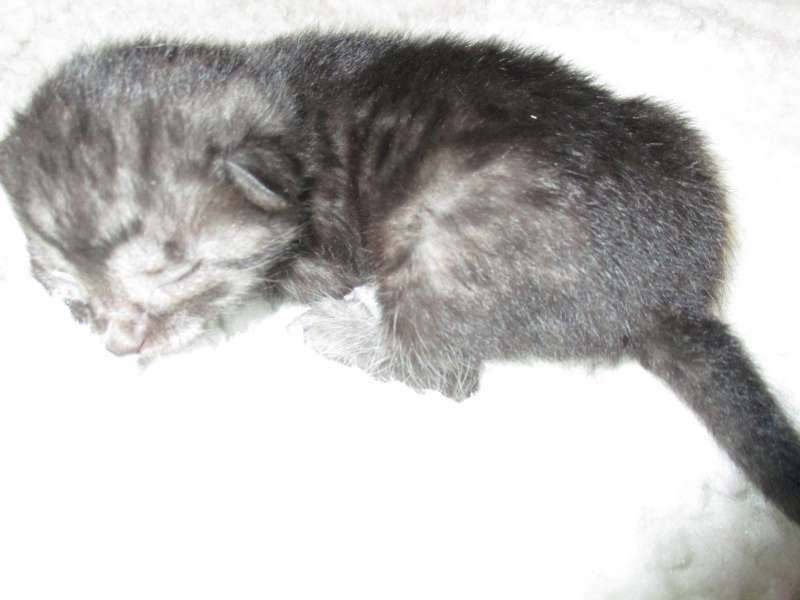 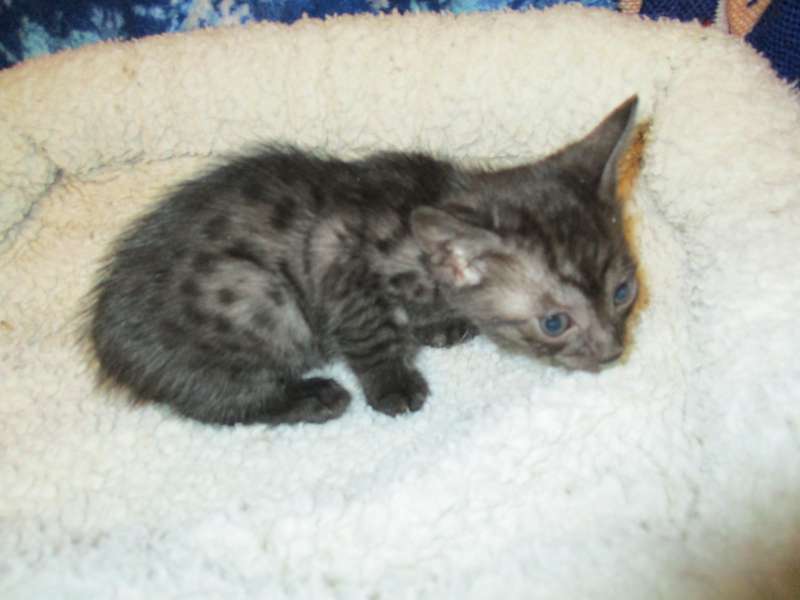 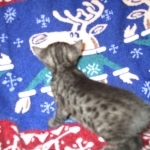 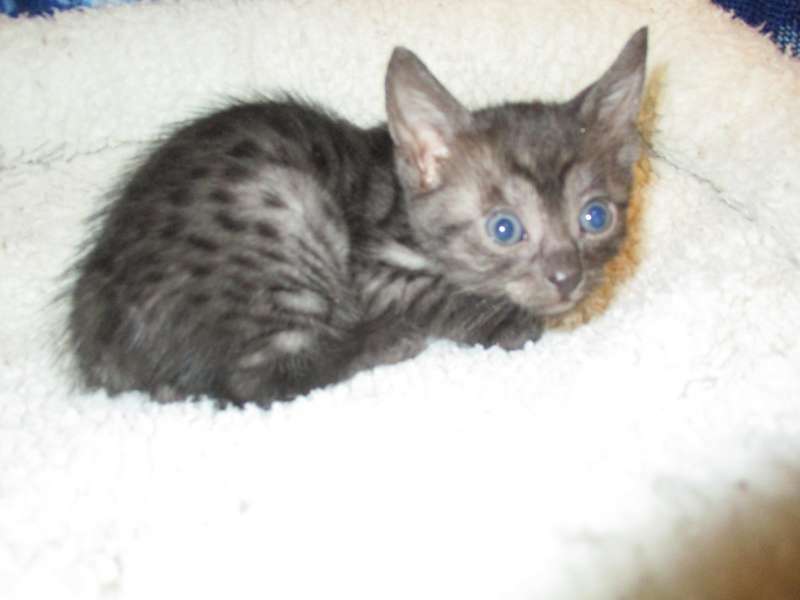 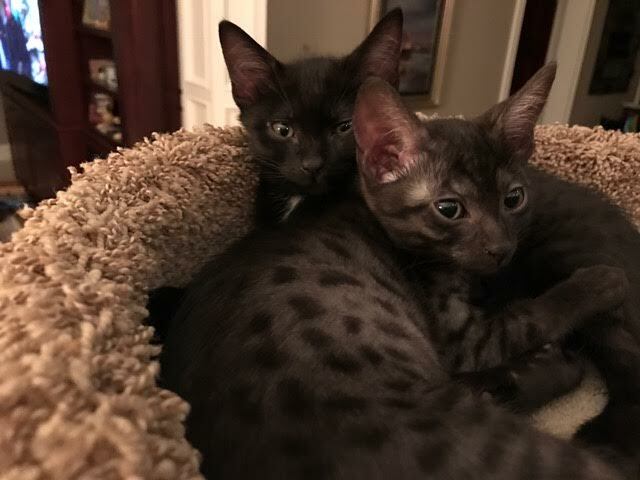 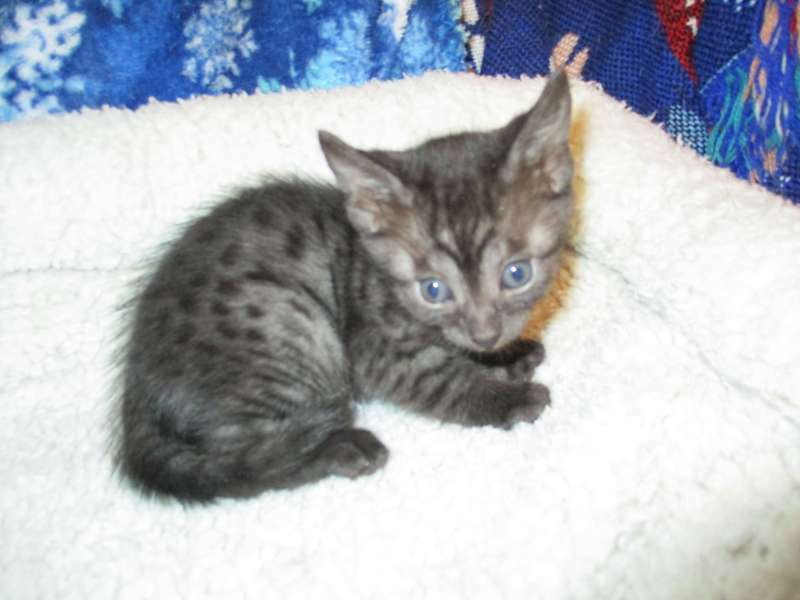 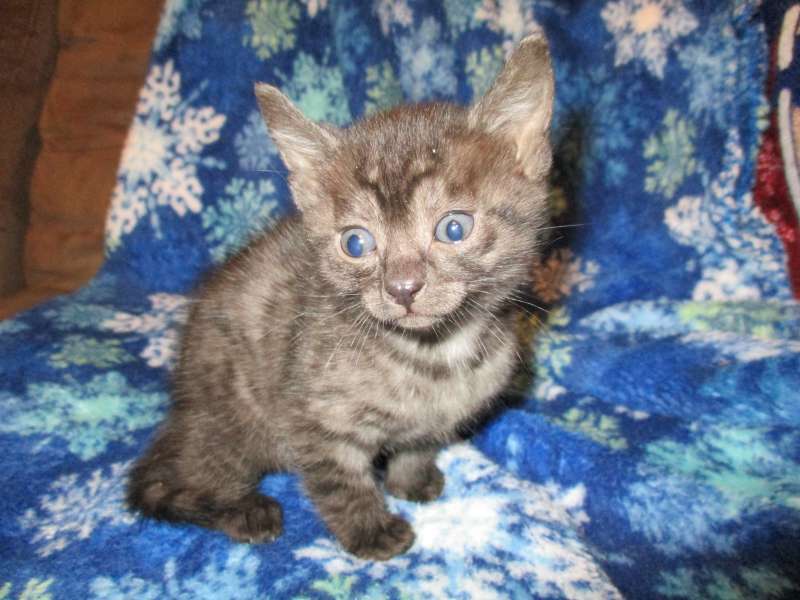 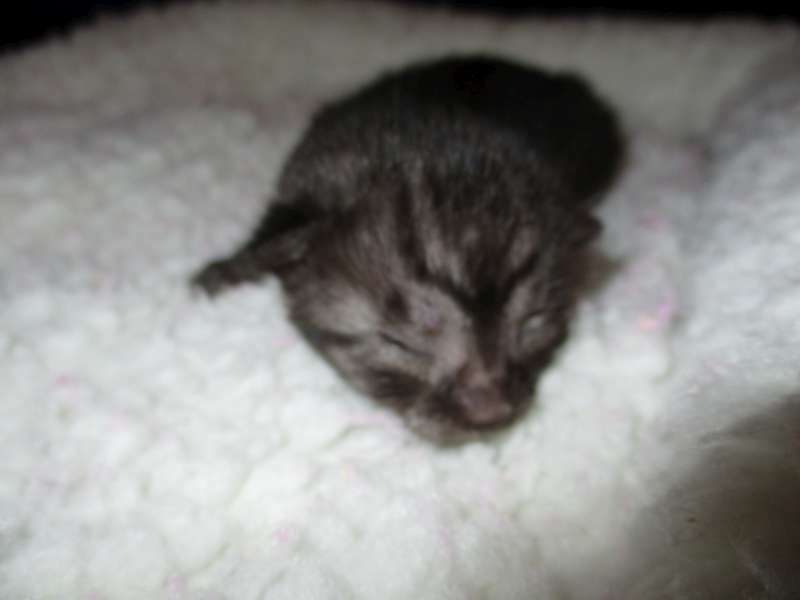 This sweet smoke Egyptian Mau girl has wonderful markings and will be a stunning adult. 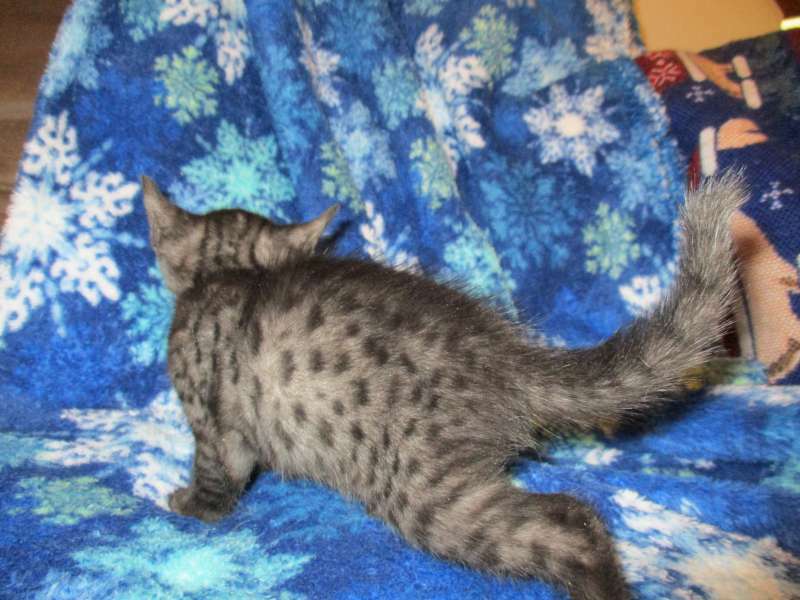 She has a tiny kink at the end of her tail which make her even more unique. 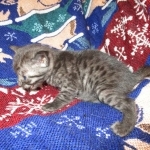 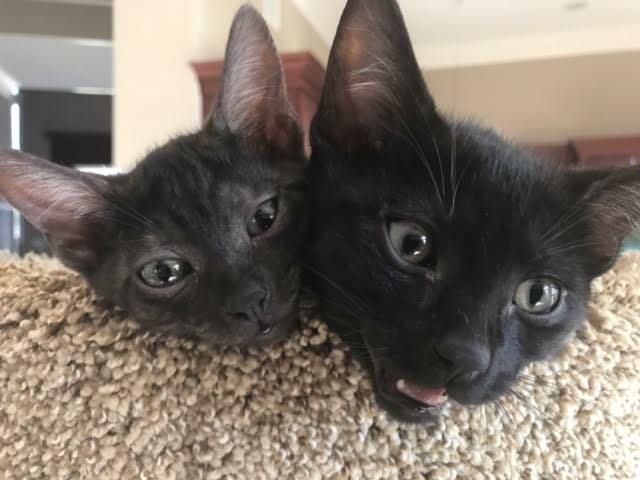 She and her brother will be going to live with Lynn and Craig in NY.